NEW YORK, Mar 13, 2011/ — This coming spring texture makes a big impact on shoes. Think suedes, silks, ruffles, braiding, ruching and raffia. 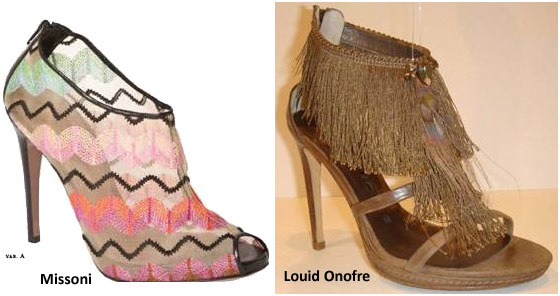 At Ruia, Missoni brings their signature textured patterns to their footwear collection with these great peep toe booties while these Louis Onofre fringed sandals are a texture lover’s dream. Ruia is a SoHo based shoe boutique located at 65 Mercer Street NY 10012 that opened its doors to the public in December 2010. Ruia’s mission is to bring Europe’s finest, most exciting luxury shoe brands to New York, mostly brands that have not been previously available in the city.